In this section of the CyberPlace, I will be posting artwork that I've either created or found on the net. Pretty much all of what I have I don't know who did it or who to credit it to, so if you happen to see your own work here and wish to receive credit or have it removed, please just send me an email at severin53@hotmail.com thanks. An anime style body I drew. Not the best, but not the worst either. Unlike other works, I know that this one was done by one of my fave authors, Michael Wheelan I believe is correct spelling. He does the covers for a lot of novels out there. 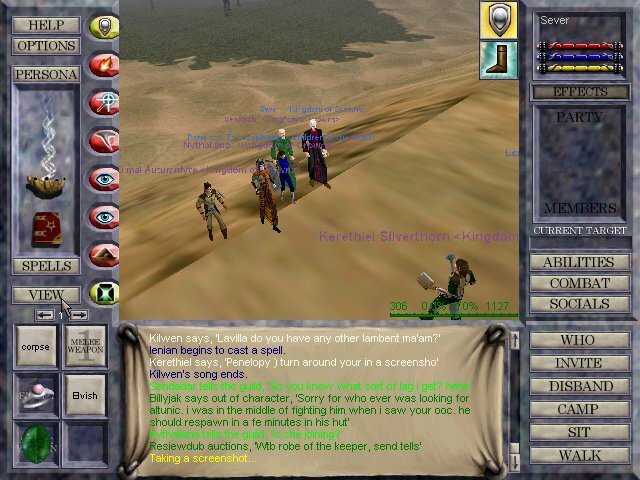 A screenshot from the game EverQuest. It is an area in South Karana where Aviaks live. Good exp for lvl 20's and up. 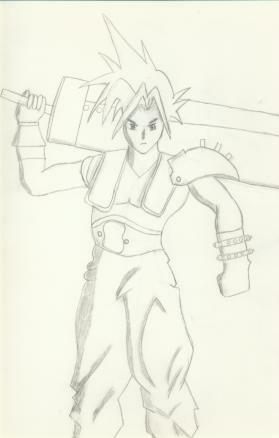 A picture I drew of Cloud Strife from FF7. 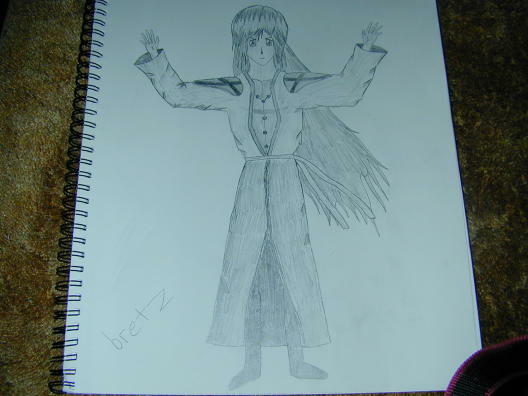 One of my better full body drawings. 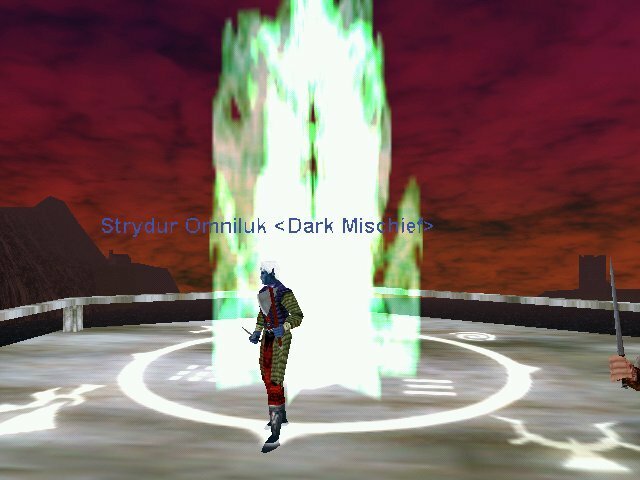 A picture of my character on EverQuest. 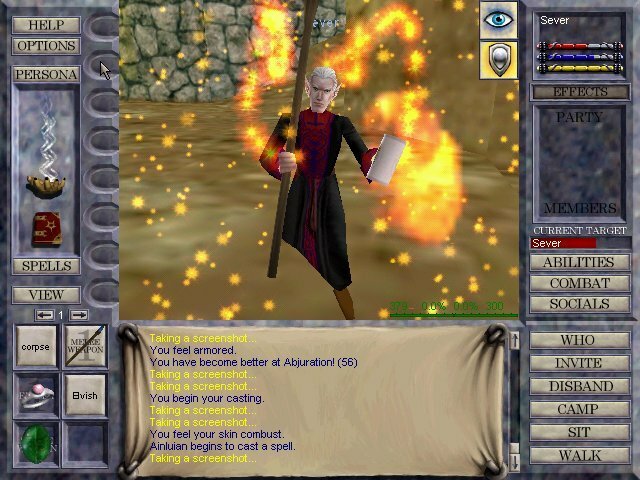 I got a new robe and staff, but I think this picture looks better. Also shows the layout of EQ controls. 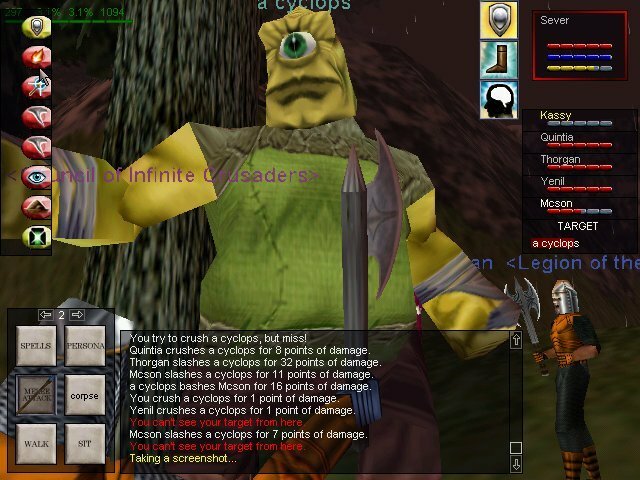 One of the many fiendish monsters in EverQuest. Was lucky to escape the encounter. 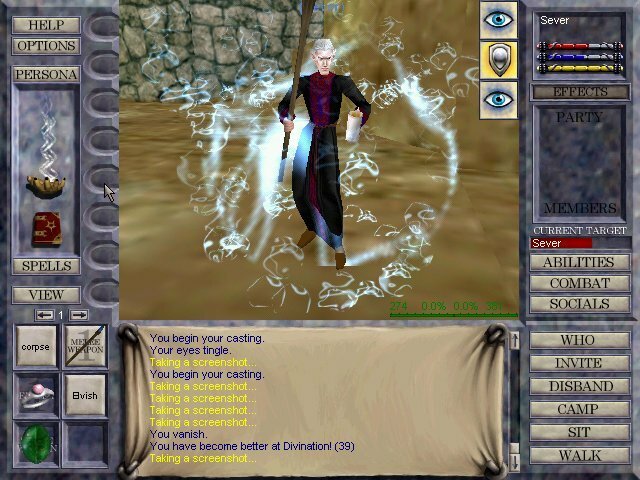 Wizards are the master damage spell casters in EverQuest. This is our trademark Fireball spell...although its probably called something different in game. 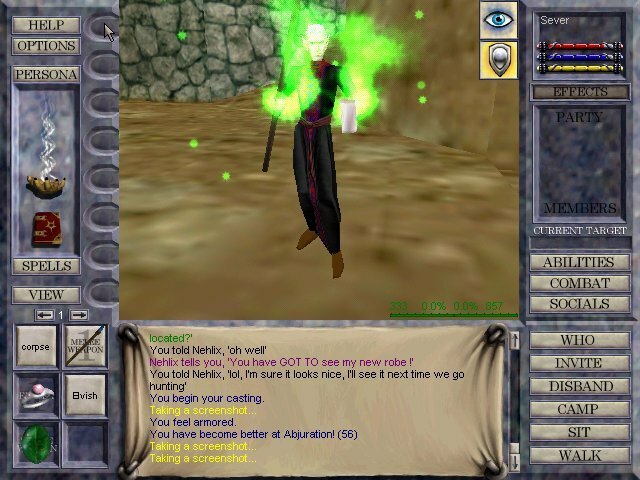 Wizards are known for being 'nukers'. A little place in Lake Rathe that I thought looked pretty cool. 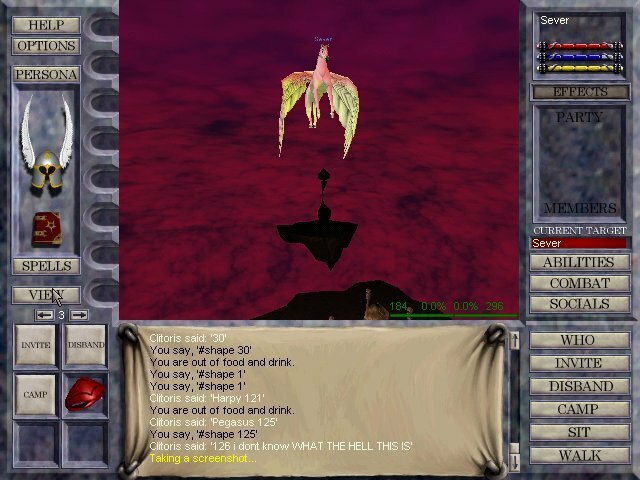 A friend found a neat emulator program that lets you go into EQ and just try on different equipment, too bad you can't fight with it. 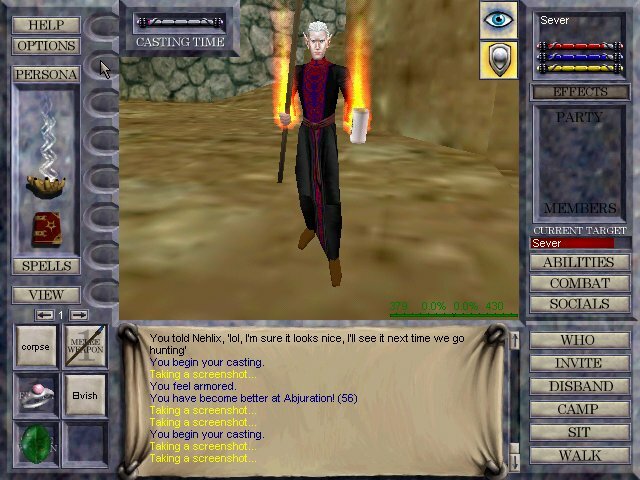 Teleports are a wizards mainstay and his source of quick cash. Also good for a quick escape from battle although they don't always work. My former guild picture. 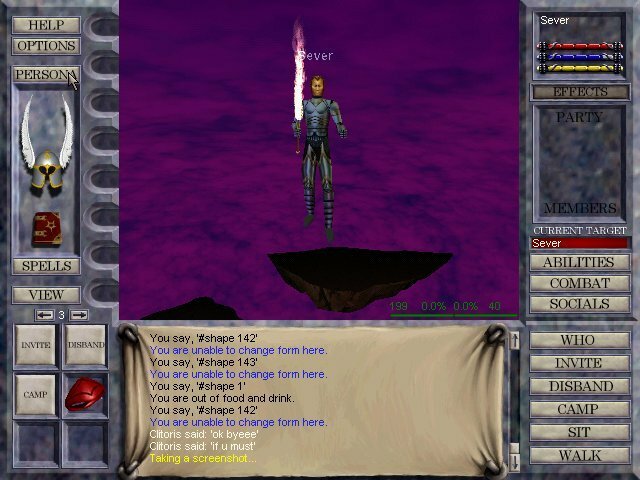 The leader was Kerethiel. It's deceased now. 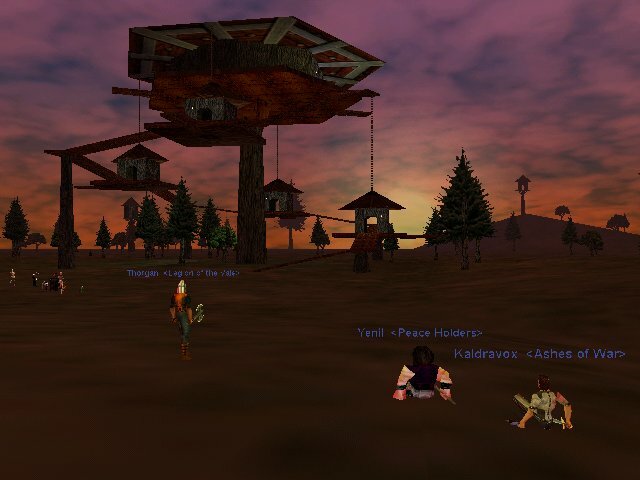 Just a picture of one of the zones in EverQuest. Once again with the emulator program. Enchanters in the game actually can change their shape, but I doubt they get a pegasus ship. 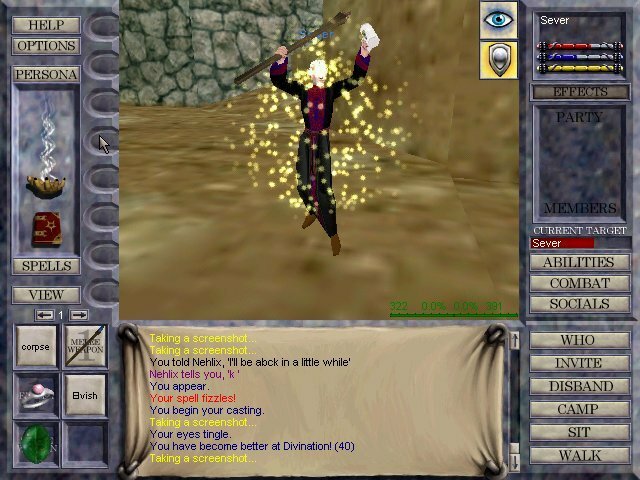 A spell that lets you see all things invisible. Good for catching pesky rogues trying to pick your pockets. Without armor casters are weak, so we get mystical shielding spells to help us along. Ah, Fironia Vie, my second favorite city next to Kelethin, the Tree Top City. 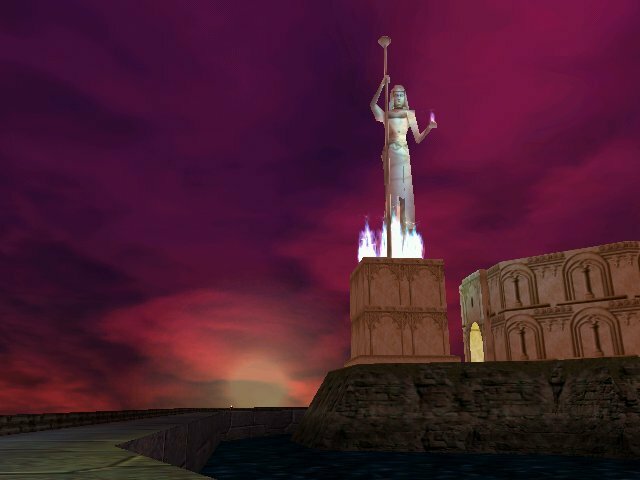 This is the statue that greets you after arriving on the Maiden Voyage, largest vessel in Norrath. All images Copyright to their creators. Except screenshots since hell...you get the idea.